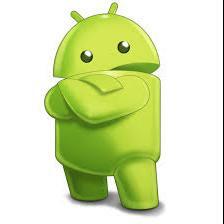 Can we use airdroid to find the last known location of a cell phone??? If not can you try to have the option to show where the phones last reported gps location? Please? I had the app installed on the phone. But it seems online if the phone is off that airdroid will not tell me where the last location is. How do i find the phone when the battery died in the middle of the night and the next day cant find the phone. What to do? Please help. Last edited by kellygirardi on Thu Jul 12, 2018 9:49 am, edited 2 times in total. If you search online, you'll find several apps, such as Find My Phone to track the current location or location history of the android device. If you have no access to the Android phone, you can use Spymer ( https://www.monimaster.com/ ) to track the device location. Besides location, this program also supports to track deleted/existed contacts, Messages, call logs, photos, videos, WhatsApp messages, Viber messages, Notes, internet history, etc. What's more, the frequently calling or messaging contacts can also be tracked.